Join us this September in Dallas for the premier training event for home health professionals. Insight 2019 is your best learning opportunity to maximize your agency’s potential and improve accuracy for PDGM success. Led by home health expert Lisa Selman-Holman, this four-day training event will cover ICD-10 diagnosis coding and OASIS, upcoming regulatory changes, documentation, billing, quality measures and more. 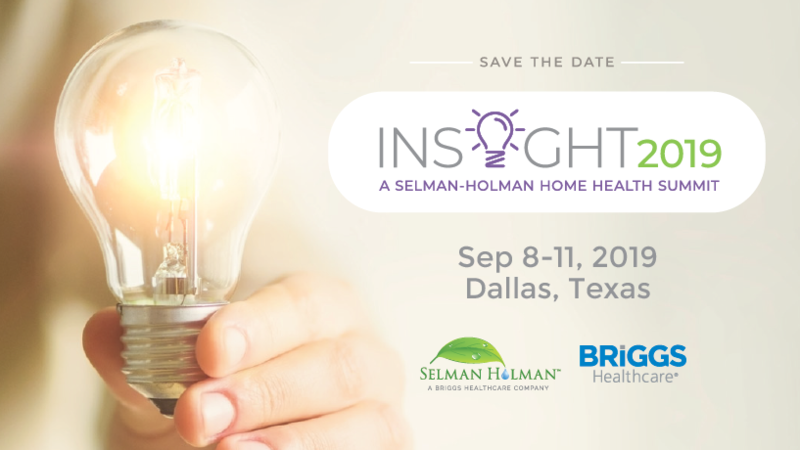 This is your only chance to access Selman-Holman’s industry expertise and gain deep insight into the latest industry directions and changes. The content of this four-day learning experience is designed specifically for Administrators, Diagnosis Coders, OASIS Reviewers, Quality Improvement Personnel, and Educators. CEUs for Texas Administrators, BMSC, and Nursing will be offered. Don’t miss this opportunity to gain valuable home health knowledge while networking and having fun with your industry peers. Registration and pricing information will be announced soon. To learn more, click the button below and enter your email address to receive Insight 2019 updates. I am very interested in attending this Education Summit. Please send me the Insight 2019 updates. Hi Tracy, you can subscribe to receive updates on the Insight page. Thank you!